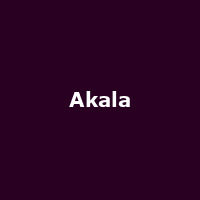 Akala may not be an obvious household name from the world of rap and grime, but this young man is going to be a bit huge I reckon. He's been around for a while, unleashing a debut single over 7 years ago entitled "Welcome to England" before kicking off the formative release schedule for Illa State Recordings with the excellent single "Roll Wid Us (Or Get Rolled Over)" in 2005. Now he has recently issued his third full-length album in the form of "DoubleThink" and announced a meaty tour to support it and the first single "XXL". The first of the nights is on 1st November in Hatfield, followed by Liverpool (2nd), Sheffield (3rd), Birmingham (5th), Southampton (6th), London (8th), Tunbridge Wells (10th), Cambridge (11th), Oxford (12th), Winchester (13th), Leeds (15th), Manchester (16th), Bristol (17th), Bournemouth (18th) and Exeter (19th). Tickets are now on sale at a bargain £8 (£10 for London) plus fees. Catch this man before he starts filling stadiums like a certain Mr Rascal.